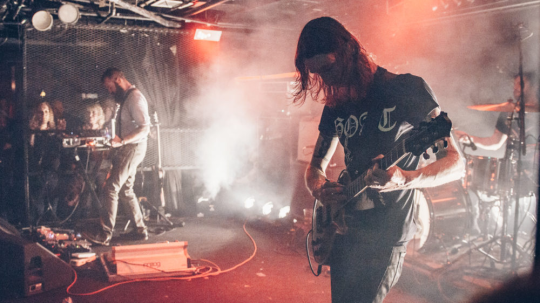 Chicago based instrumentalist’s Russian Circles sold out the Biltmore Cabaret in Vancouver on a Monday night. The venue has a low stage, barely a foot off the ground and viewing angles from all around, if you can get to the front. The trio came on to a dark, back lit stage ready to awe the crowd. Their sonic intensity rumbled the venue opening with their head-banging 2008 track ‘Station‘.